We all enjoy the beauty that greenery and flowers bring inside our homes. And many times our dogs seem to enjoy them also…but, it is important to know that many common houseplants can pose a danger to your pet if eaten. 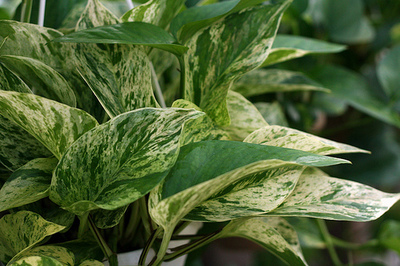 Here are five of the most common indoor plants that can be harmful to your pet. We love the promise of warmer weather that Spring bulbs give us….so much so that many are started indoors. 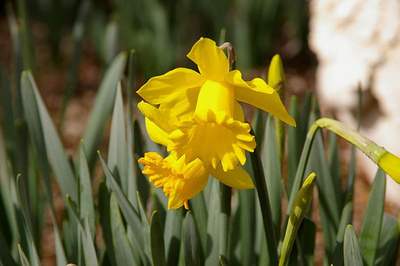 Daffodils(Narcissus), Hyacinths and Amaryllis are all beautiful, but if eaten can cause a variety of nasty symptoms like vomiting and diarrhea, intense abdominal pain, high blood pressure, tremors and irregular heartbeat and can be fatal. Those lovely trailing vines, English Ivy (Hedera helix) and Pothos (epipremnum aureum) can both be deadly to your dog . They can cause difficulty breathing, convulsions and in extreme cases paralysis and coma. 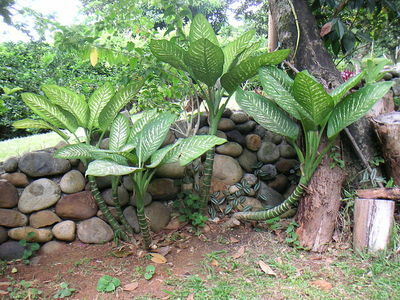 Dieffenbachia, sometimes called Dumb Cane with good reason, causes swelling of the mouth and tongue and can cause swelling in the throat that obstructs breathing. 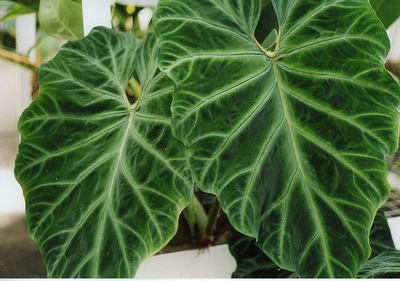 Philodendrons come in a variety of shapes and sizes and add a lovely tropical feel to a room, but if eaten, they cause burning and swelling of the mouth, tongue and throat and also vomiting and diarrhea. Schefflera, that pretty indoor tree, often called Umbrella plant, can also pose a threat to your canine friend if eaten. It results in vomiting, kidney problems, heart and respiratory problems, excessive drooling and difficulty swallowing. 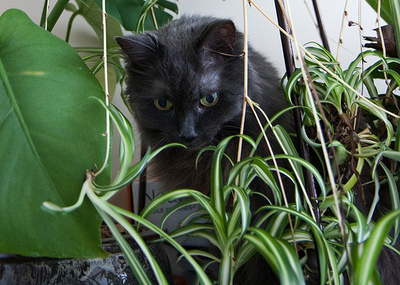 Once you make the decision to bring a dog or cat into your home, you may need to rethink your choice of indoor plants. You may be able to employ simple strategies like restricting access to the plants, or you may opt to gift your plant to a friend that does not have plants. If you suspect that your pet has ingested something harmful, contact your local vet immediately.